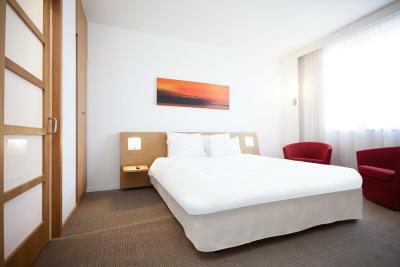 Lock in a great price for Novotel Valladolid – rated 8.4 by recent guests! Staff were very welcoming and friendly - even our dogs received a warm welcome and got a Christmas present. Walking distance into town for those fit and able. Good Parking on site. Across the road from a very nice park. I like this place and I have stayed here before so, I can spot the changes. 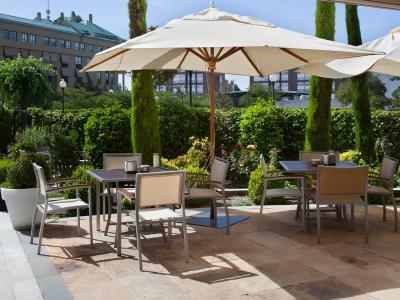 The NOVOTEL in Valladolid is a safe booking for me every time I travel through the E-80 towards the South of Spain and I love getting there and hear the sound of its common areas filled with people and the screams of the children in the pool. This place deserves to be filled with people. 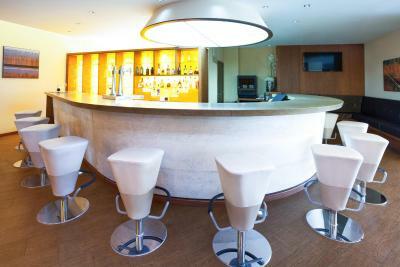 Efficient reception services, professional and friendly restaurant and bar staff, easy accesses to parking and the rooms. Also clear spaces around the building which relaxes you when walking around the area. Our room is always the same kind of room, a family one and it is always a guarantee of a restful night after a long drive. The food is great and the cleanliness reassuring of the quality you should expect. The staff is very nice, clean rooms, good breakfast. We stayed on the way to The Algarve and was so impressed we booked it for our return journey. We had our dog with us and he was made very welcome by the staff, which for us is a big bonus. The evening meal and breakfast room service was beyond expectations. The elevator was nice. Front desk was pleseant at first. But in the night shift it was awful. We were visiting the Novotel in Valladolid as an overnight stop. Unfortunately, our departure was delayed, and we did not arrive until 2.00 a.m. We had notified the hotel of our late arrival, and were welcomed by the overnight receptionist, who gave our Springer Spanniel, a "welcome" present, a rope bone, which she continues to enjoy. Beds were comfortable and the room quiet. We slept until late and I only just had time for the excellent breakfast, which the staff allowed me to enjoy, even thought they were anxious to set up the area for lunch. My partner needed to sleep on, and breakfasted later, on the next leg of our journey. The secure parking area was much appreciated, although virtually empty. 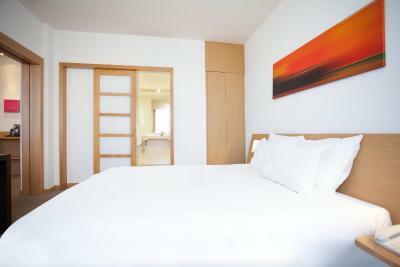 Novotel Valladolid This rating is a reflection of how the property compares to the industry standard when it comes to price, facilities and services available. It's based on a self-evaluation by the property. Use this rating to help choose your stay! 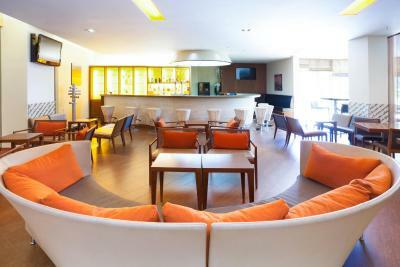 The air-conditioned rooms at Novotel Valladolid have a kettle with free tea and coffee. 2 children of 15 years and under stay free when sharing with parents. Breakfast is included for children when parents have breakfast. Guests can relax in the Novotel Valladolid’s outdoor swimming pool, open from 15 June until 15 September. 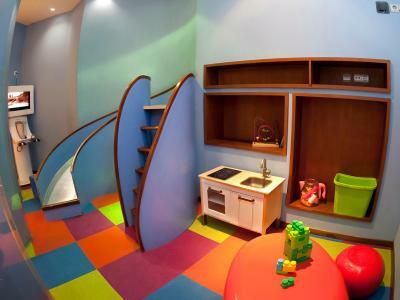 There is also a play area for children, a garden, and free access to a nearby gym. A 22 kw electric vehicle charging point is also available. Meals from the hotel’s café-restaurant can also be served out on the terrace. Buffet and continental breakfasts are available. A range of Rueda, Toro, Ribera de Duero and Cigales wines are available on site. Valladolid Science Museum is 800 feet away and the Delibes Auditorium can be reached in 5 minutes' drive. 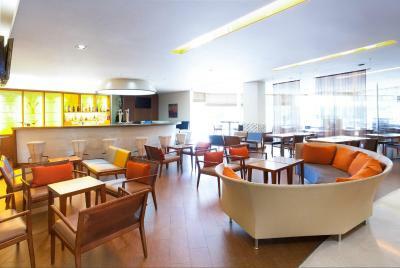 When would you like to stay at Novotel Valladolid? These large rooms are perfectly soundproof. 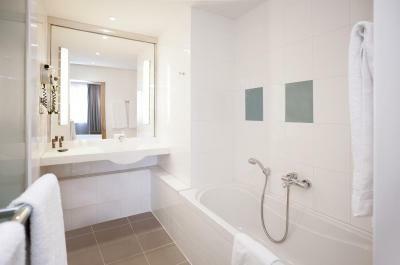 Guests can enjoy a queen bed, a bathroom with a bath tub and a glass-enclosed shower, individually-controlled air conditioning, a minibar, free tea and coffee, a radio, a plasma screen TV, international channels and Wi-Fi. Two children 15 years old and under stay free when staying with parents. Breakfast is included for children dining with parents. 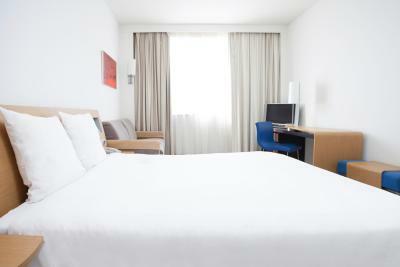 This twin room features a flat-screen TV, mini-bar and soundproofing. 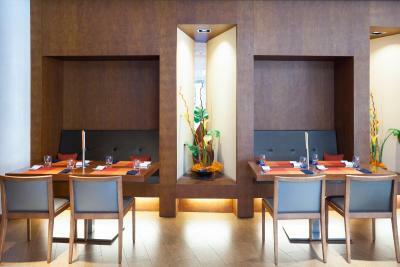 House Rules Novotel Valladolid takes special requests – add in the next step! Novotel Valladolid accepts these cards and reserves the right to temporarily hold an amount prior to arrival. Overall, this was a great overnight stop. However, having arrived so late (2.00 a.m.) it was a bit of a wrench to wash and dress in time for breakfast, which closed at 10.00 a.m. I was just able to do so, but my partner really needed to sleep on so missed it. If the hours for breakfast could be put be put back to 10.30 a.m. that would have been ideal. The secure overnight parking was appreciated as our car was packed full with our gear. However, I felt the supplement of 12 Euros was excessive, and as the space was practically empty, I suspect many others do to. Although the staff reduced the overall cost for our two dogs, the charges per dog at Euro 20 each is very high. Parking at 12€ per night is a bit expensive. It is a secured lot however. The bathroom had not been cleaned properly. There were pubic hair in the bath tub from the previous guests. Not acceptable.